The Midlands Business Journal is excited to announce that the winners have been selected for our 15th annual 40 Under 40 Awards, honoring 40 Greater Omaha, Council Bluffs and Sarpy County entrepreneurs, executives and professional men and women under the age of 40. 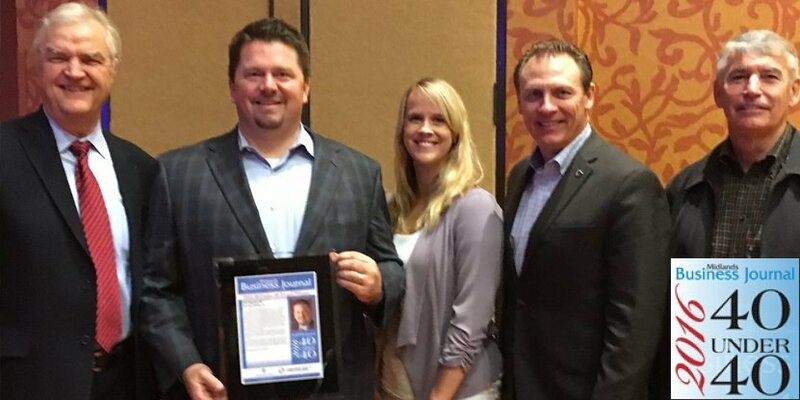 JP Raynor was given the award and attended the annual awards breakfast ceremony on Friday, Nov. 11 at the Embassy Suites-La Vista Conference Center. The Midlands Business Journal reported that Omaha’s next generation of business leadership is in good hands, judging from both the volume of nominations and the hard task the judges had in whittling the list down to 40 winners. Congratulations JP!